For several years now, I have been very interested in the power of the body to heal itself. Attendant to this concept are the many various schools of thought and ancillary practices including such things as acupuncture, energy healing, meditation, prayer, herbal medicine, as well as many other practices. About a month ago, I received an invitation to a class that would center around the book, Touch for Health. The book was written originally by John Thie and the most recent edition is an updated version compiled by Matthew Thie. 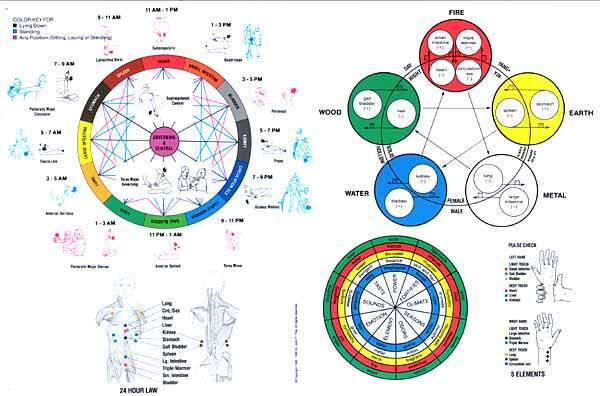 The basic concepts of the book are that you can use the energy fields that flow through the body to test the major systems of the body for functionality and health. For instance, you can test the health of the heart by having a person hold their arm at a right angle with the forearm pointing down. Think of how you position your arm to signal a stop when you are on your bicycle. The person testing you will then gently hold your elbow in order to isolate the muscle to be tested and then pull your forearm forward while you resist. Interestingly enough, for those who have never had a muscle test, your ability to resist is directly impacted by the overall health of the organ being tested. This test is done with both the right and left arms. Typically, if a patient has some form of blockage or issue, either the right or the left will test weak. The book then shows the practitioner which acupressure points to touch, tap or massage in order to get the energy flow moving properly again. After doing the appropriate repairs, the muscles can again be tested. This time, if all went well, the two arms will test equal and strong–the book calls this “locked”. Before I started this class, I had been introduced to basic muscle testing. I knew the concept but was unable to regularly accomplish much with the concept. Perhaps I hadn’t practiced enough or perhaps I wasn’t really giving it a solid try. After three weeks of training, I feel I can adequately test the 14 major body systems and get enough information to help someone. I never plan on practicing this as a career–I just want the information and skills so I can help family and friends when appropriate. With more practice, I am sure I will become fairly adept. 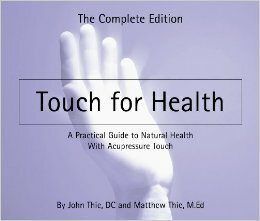 Along with the basics from this book, the class is also being taught some basic facts about healthy nutrition and several techniques acupressure that will help the body when it is unbalanced. Yesterday, the major takeaway from the class aside from learning to test and restore the triple warmer (endocrine system) and the circulation system, we were given some basic steps to put a person’s hormonal system back into balance. It involves some basic tapping on a few key points on the shin, Achilles, big toe, near the collar-bone and on the forehead. I wasn’t sure how much it would do but I was willing to give it a go. I can’t tell you how amazing it was to wake up this morning and feel so at peace and in balance. I have not felt this centered in a long, long time. Enough about me. The book is great. It takes some effort to become acclimated to the layout and basic procedures. It isn’t complex, it just takes effort and practice to become familiar with all the steps. I am certain that anyone with a little experience will have an easy go of it–for a complete novice like me, it is a bit more effort, but well worth it. I am amazed at how much is packed into this book. As you test each of the 14 major systems, any systems that exhibit weak can be further tested and explored. For instance, if the stomach tests weak, there are four subtests to further isolate the exact issue and then restore the energy flow so that the major system will then test properly. In listening to the teacher, it seems that if someone tests weak in any specific area, they may need to be tested and adjusted several times over a period of time to get the system to flow properly and stay flowing properly. I heartily recommend this book to anyone who has an interest in muscle testing and or acupuncture/acupressure. It costs less than $30–and in my mind if it saves even one trip to the local clinic it more than pays for itself.